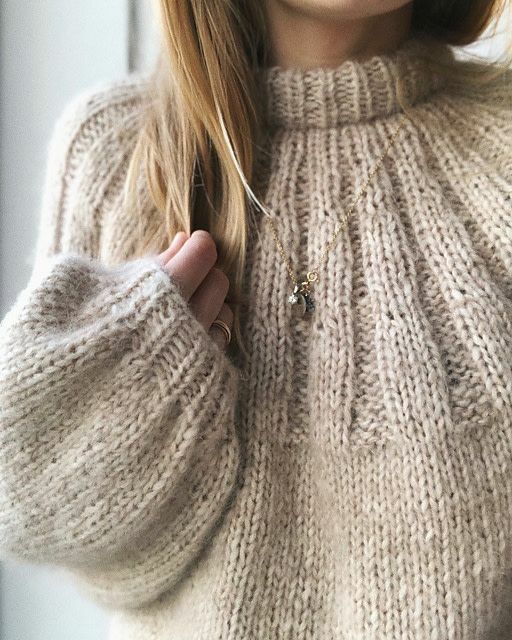 The Sunday Sweater is knit from the top down. The yoke is knit in the round with shaped with rib stitches and increases. Body and sleeves are knit in stockinette stitch and finished with a ribbed cuff. 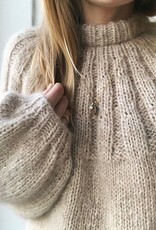 The sleeves on the Sunday Sweater are extra-long and widen before the cuff. 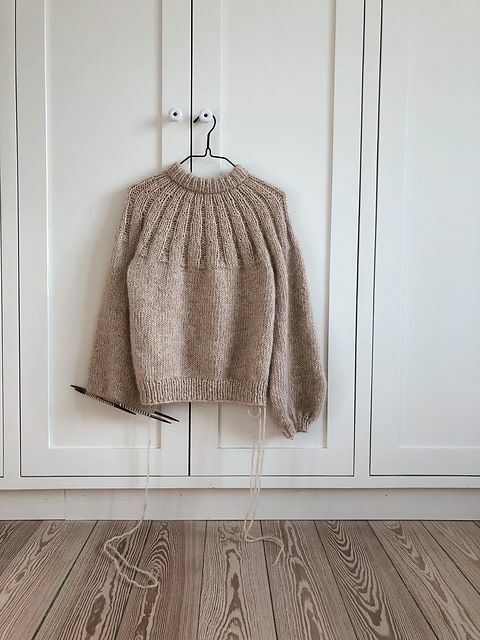 The neckband is folded over and sewn to the inner side of the sweater. 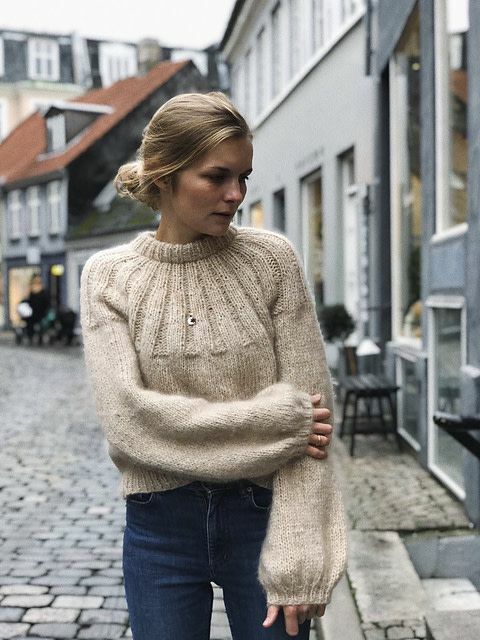 The Sunday Sweater should have a positive ease of 5-10 cm compared to your actual bust circumference. The sizes XS (S) M (L) XL (XXL) correspond to a bust measurement of approximately 85 (90) 95 (100) 110 (120) cm. 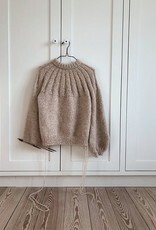 Note that the final measurements of the sweater have those extra 5-10 cm already built in. Measure yourself to find the best size for you before casting on. For example, if you have a bust measurement of 90 cm, you should knit a size S (+ 7 cm of ease).